'Rash Purnima' is one of the famous Orthodox Vaishnava Festivals and its celebrated in the late Autumn. Jhulan Prunima & Sri Krishna Janmashtami celebrated in the mid of monsoon. In Nawadip, in late Winter, Vaishnav saints celebrates Dhulat Purnima. These Orthodox Vaishnava Festivals draw a large assemblies of people/devout. Kirtan, Sankirtan (choral incantation of Krishna, Rama, Hari, Sri Chaitanya) and then communal feeding (Bhog Prasad) - is the part of these ceremonial worship of Radha-Krishna Festival. Sahajiya sect has their most biggest festival in the middle of January at Kenduli, Birbhum district of West Bengal. This is the birth place of Jayadeva who is known for writing the poet of Gita Govindam. Sahajiyas from all places of West-Bengal assemble here for this week long festival. They used to hold long sessions of highly exoteric songs (Bhajan) & Religious-Ecstatic Dance. And then go through their characteristic forms of worship. A Mela (Gathering of people) is held at Ghoshpara, near Kalyani of West Bengal on the day following Holi. River Ganga banks held for one of the great festivals & Mela (Fair). In the middle of January (The last day of Bengali Calendar of Pous) lachs of pilgrims assembeled at the Saugour Island Beach (Bhagirathi River) to have a holy dip. This place then maintained by the state authorities. Devotees and Disciples belong to all sections of Hindus come by Boat/Nouka from all directions. After the holy bath, they complete their bazars (markets), which springs up for meeting the needs of pilgrims. Medical facilities are made available by the State Government. !!! 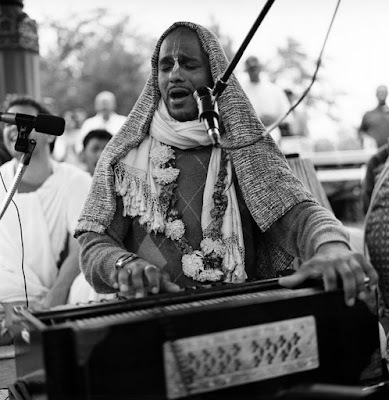 Kirtan - Sankritan !! !